Okonomiyaki gives you nutrients you need! 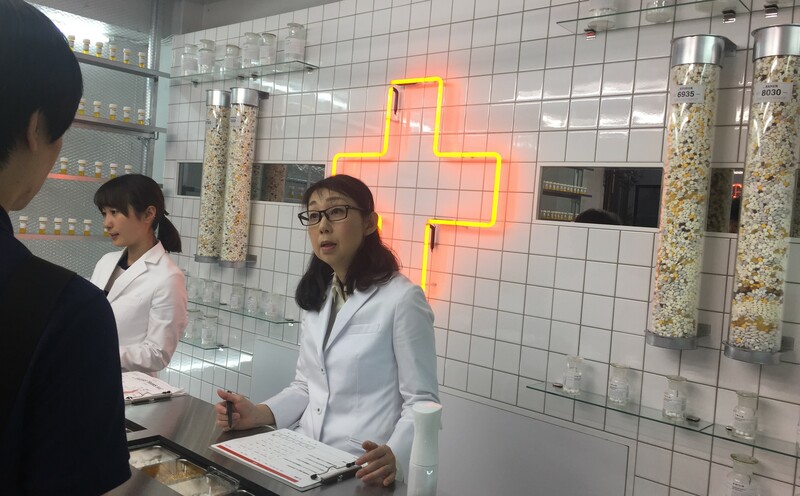 Recent visitors to Cat Street near Harajuku might have noticed a curious little pop-up giving away bottles of pills. 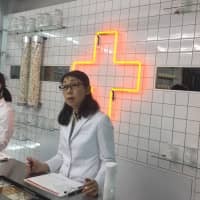 A neon red cross glowed behind the counter while two women in white lab coats showed customers scientific-looking charts on clipboards. Hangover cure after a night out? Not exactly. The sign outside read Fast Food Aid. 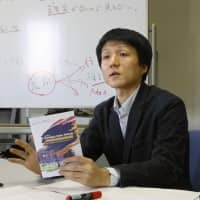 Panels inside explained the concept: The customer hands over a fast-food restaurant receipt and, in return, receives a bottle of food supplements customized to replace the nutrients missing from that meal … for free. Fast Food Aid turns out to be part of a clever marketing campaign for a chain of restaurants specializing in the okonomiyaki savory pancake. Dohtonbori is promoting a new restaurant opening in Hiroo (on May 26) by cheekily spelling it out: The healthy ingredients in Dohtonbori’s healthy okonomiyaki have all the nutrients you need. The Fast Food Aid popup ends on May 4, but you can always go to any of the Dohtonbori stores later for a fix.